Medicine Song is perfect driving music or for listening anywhere. Native American hand drumming/chant songs plus reggae/roots/soul songs infused with flute, guitar, bass, djembe and cajon by live world class musicians. Single “Woman” features Lillian Allen’s dub poetry over Native American drumming/chant. This entire album was done fully in ceremony, even in the studio. Musicians were guided to hold specific intentions and emotions for each song, so that your experience as a listener is as meaningful and healing as possible. 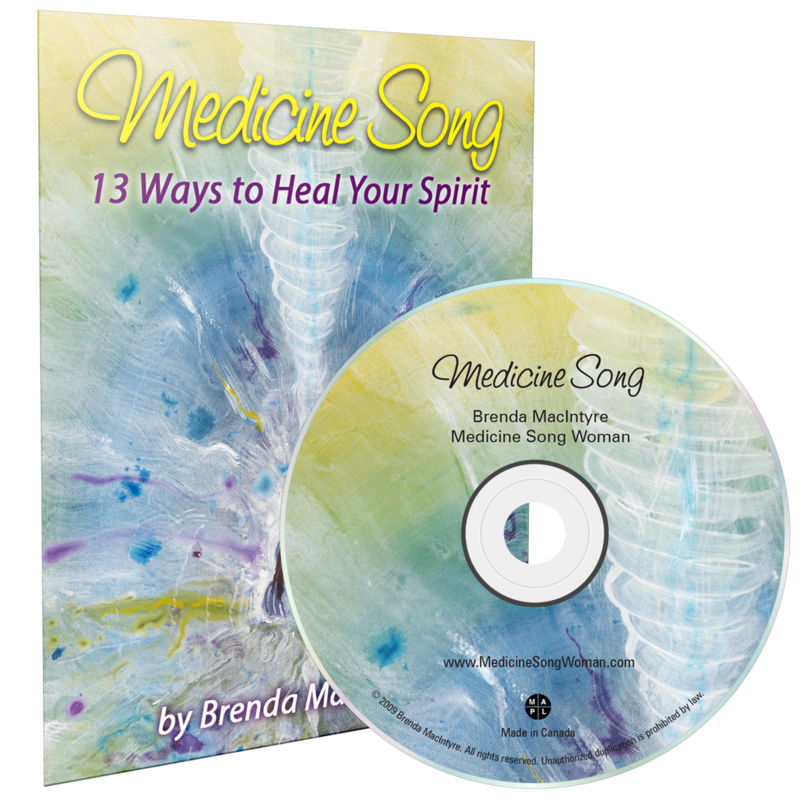 The e-book includes the lyrics and teachings for each song, as well as how to get the most out of the healing songs. * Note that hard copy CD’s are sold out, and for eco-friendly reasons this CD is now downloadable, along with the companion e-book.